Laashekoh, the fictional village that is the setting for Fear of Beauty and Allure of Deceit, is unusual in many ways. But perhaps the most distinguishing feature of this village is the many trees. In truth, Afghanistan has few forests. A lack of forest management, few government regulations, minimal enforcement combined with war and tribal competition led to rapid deforestation - another version of the tragedy of the commons. Trees are cut for fuel and building. Without replanting, the soil has eroded, discouraging replanting and regeneration. "Commercial timber harvesting is illegal in Afghanistan - which leaves a massive smuggling industry...," report Sean Carberry and Sultan Faizy for NPR. With so much conflict and corruption, preserving trees is a low priority. All of Afghanistan's forests could be gone in the next 30 years. "As the forests go, so will lots of wildlife species, further damaging Afghanistan's biodiversity," reports Afghanistan Online. "Moreover, not only will Afghanistan suffer economically, but there will also be an increase in fatalities and damages as a result of flooding and even avalanches. 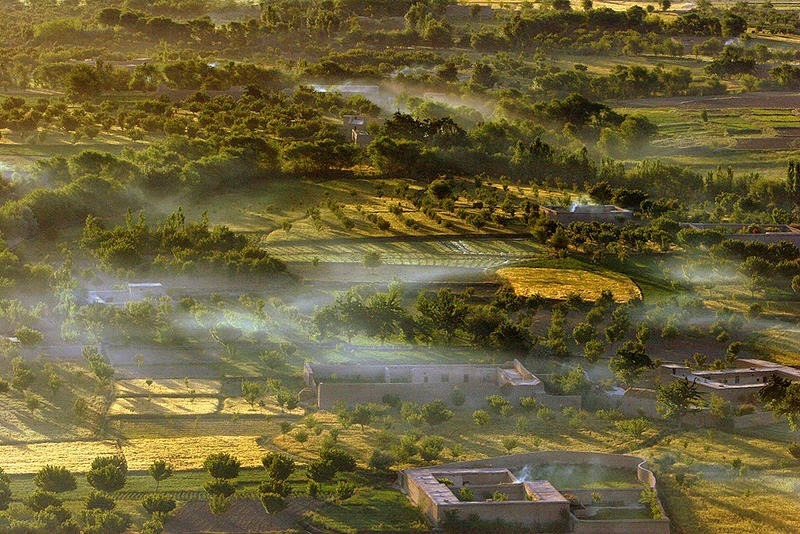 Afghanistan's hillsides were not always so bare. "Good policy and planning, forest law, sufficient budget, specialists and experiments, technology and sufficient time are needed to solve this problem," notes Cropwatch. A few forests remain. Varying elevations contribute to specific micro-climates, and Laashekoh is one such place. 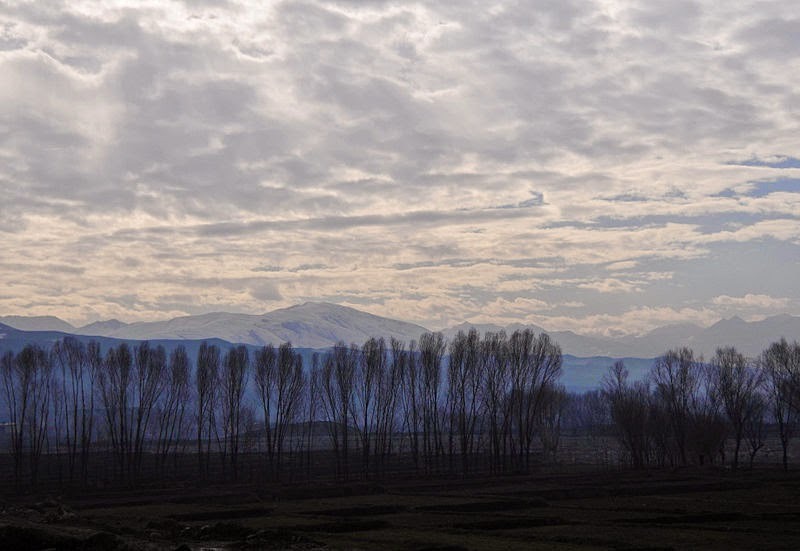 The UN Food and Agriculture Organization reports that only about 2 percent of Afghanistan is forested, not including small patches of other wooded land. Campaigns to replant trees are underway. Up to 25 million tree seedlings were planted near urban areas, reported IRIN in 2010, though only half could be expected to survive because of water shortages. The Afghan Child Project describes entire towns without trees and launched projects to plant trees near schools. Each child planted a tree and cared for it, sharing his or her own water. The International Security Assistance Force donated more than 400,000 almond, pine and other seedlings in 2012. "The trees do not only play an important role for the environment, but also for the psychological health of the residents," notes Afghanistan Today, with independent reports financed by the German Ministry of Foreign Affairs. "Many Afghans attach great cultural value to trees." One vendor reported selling more than 150 saplings a day. Some trees mentioned in Allure of Deceit are transplants from other lands. The novel refers to a stand of black locust trees near the village of Laashekoh. The tree is not an Afghan native plant, but saplings were purchased and planted early in the 20th century. The plant has since been shown to produce rapid growth and high yield, according to researchers from the Energy Biosciences Institute at the University of Illinois. Trimming the trees in early years also encourages more branch growth. A black locust can reach 30 meters in height and grows quickly at the start, with growth rates going into decline after 30 years, reports J.C. Huntley for the US Forest Service. Likewise, the stone pine, which endures drought well, grows fast in its early years, reaching a height of 15 feet in five years. Full height is not reached for another 50 years. Pines like Pinus longifolia is moderately fast-growing. A yew, cyprus, banyan, chestnut or pine can live 1,000 years or more. Without much thought or planning, communities too often cut down trees that provide shade, soil protection and beauty and cannot be easily replaced. 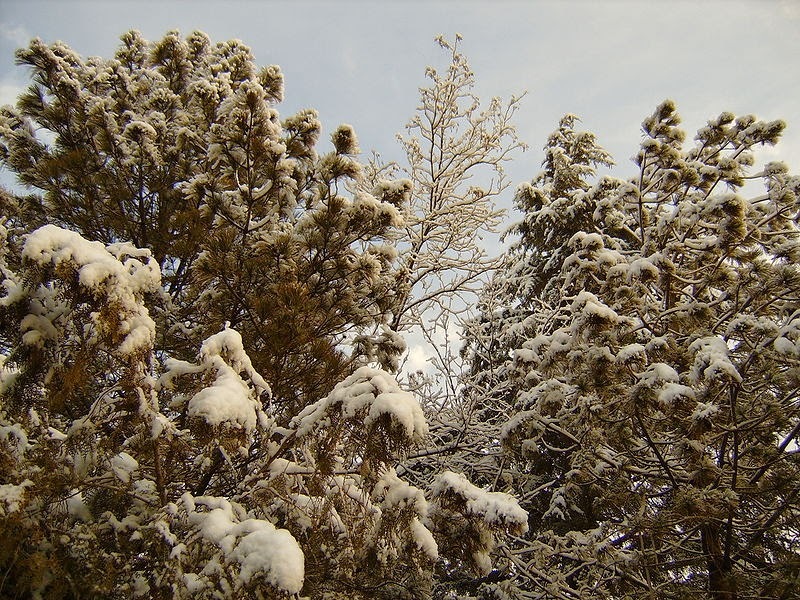 The photo "Morning in Badakshan": John Scott Rafoss, Afghanistan Matters and Wikimedia Commons The photo of conifers in the snow: Mark Jurrens and Wikimedia Commons. 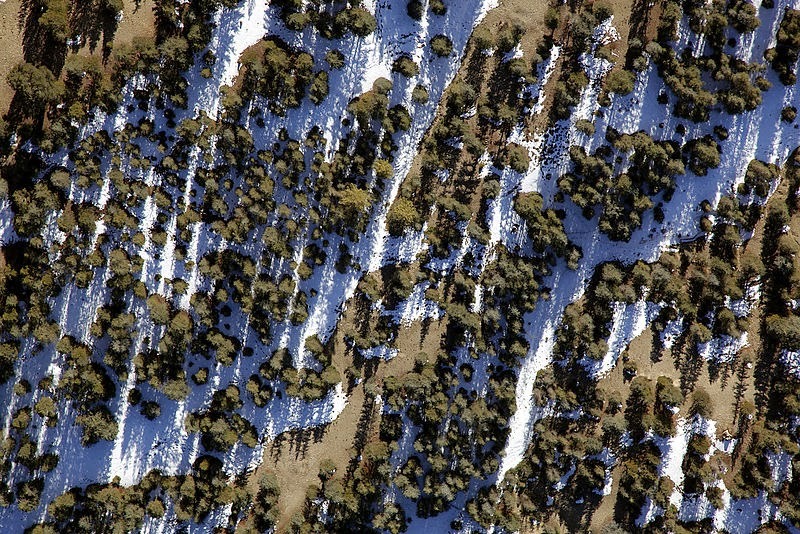 Photo of tree stand taken from a helicopter: Andrew Smith, Afghanistan Matters and Wikimedia Commons. Calm resilience is better than panic during a time of crisis. When a job, marriage, friendship, activity is not going well - that is the time to assess priorities, opportunities and dreams. For many the economic crisis meant a loss job, need to downsize to a smaller home, less shopping. The crisis also contributed to simpler lifestyles, with greater focus on home, family, career or health. One key to setting priorities is to imagine your future self and think about where that person wants to be five years from now, ten years from now. What milestones do you want to reach and what are the strategies for achieving them? Once the priorities are known, women can immerse themselves in the activities and people that contribute. They can allocate time and work on projects and activities that build the dreams with every day. Draft a plan. Putting dreams into writing makes them more tangible and reinforces our determination to turn them into reality. 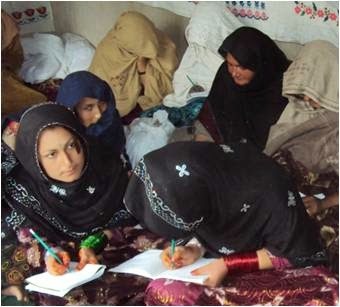 Literacy is a first step to empowering women and turning their hopes into reality, as suggested by USAID. Find a close friend, family member or mentor who shares similar goals or supports your goals. Monitoring progress can be easier with a partner. But focus on "doing" more and "talking" less. Photo of Afghan women in the Support to Women in Skills Entrepreneurship and Literacy project, courtesy of USAID, One Woman Makes a Difference and Wikimedia Commons. Five aid workers with Save the Children were found shot to death five weeks after they were abducted in Trinkot, the capital of Uruzgan province. "A spokesman for the provincial governor blamed the Taleban for their deaths after their bodies were found on Friday, saying the militant groups had demanded a prisoner exchange," reports AFP. The article points out that Humanitarian Outcomes describes Afghanistan as the most dangerous place for relief staff in the world in 2013. 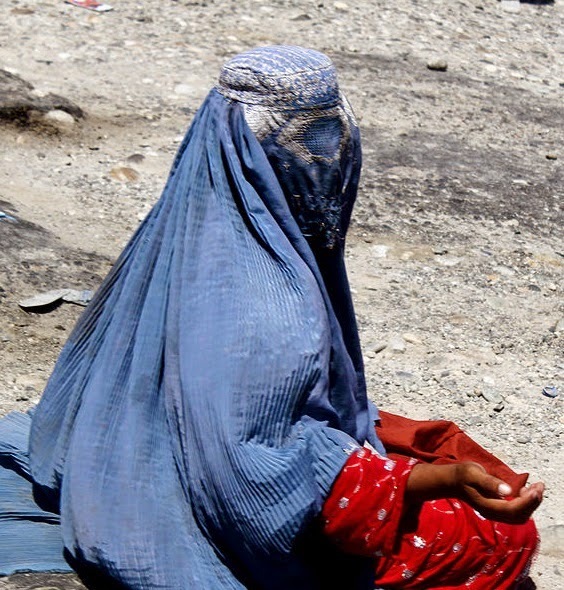 So many Afghans are grateful for the aid. It takes but a few to ruin the work and connections. Aid workers are an easy target for extremists. 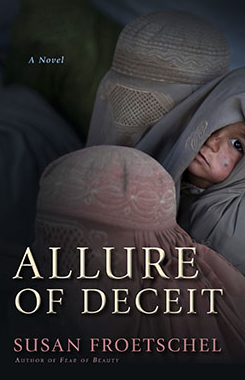 Allure of Deceit describes the resentments, confusion and potential danger as one foundation director uses funds, programs and personnel in Afghanistan to investigate the death of her only son and his wife. Charitable work can have a hidden agenda. "The road to hell definitely is paved with good intentions in this well-written, intelligent, engrossing thriller," writes reviewer Si Dunn. To request a review copy, contact Cheryl Quimba at CQjimba @ prometheusbooks.com. The photo of wheatfields in Uruzgan province, courtesy of the US Department of Defense and Wikimedia Commons, offers a small hint to why some might fear the change that comes with aid and global connections. Charity can have a hidden agenda. "The United States and Saudi Arabia on Tuesday sanctioned a Pakistani charity allegedly financing violent extremist groups in Afghanistan and Pakistan under the guise of humanitarian work," reports Jason Lange for Reuters. "The sanctions target the Al-Furqan Foundation Welfare Trust, which the US Treasury said had changed its name to avoid prior US sanctions." Dubious charitable organizations have become a tool for funneling funds to illegal activities. Allure of Deceit is the story of a powerful foundation director who uses funds and programs in Afghanistan to investigate the death of her son. And another individual uses the charity to manipulate extremists to murder a foundation critic. Name changes, mission statements, corporate partnerships - without some strict accountability, all can be manipulated for purposes other than charitable giving. Photo of a woman begging, courtesy of Wikimedia Commons. Our choices and assessments of books expose us as much as those whom we judge. Not so long ago, these pages noted: "If readers are candid and thorough, public reading lists like Goodreads - simply admitting what we like and don't like and why - can expose our personalities, levels of socialization, character traits, fears, choices, and more. Of course, many readers do not list every book they read, and others tame their criticism. A book that provokes strong, negative reactions can be as influential and powerful as one that invites our praise." The author Salman Rushdie has learned this the hard way. "Sir Salman Rushdie, the Booker Prize-winning author, has accidentally shared his book tastes with the world, after reviewing books on a public forum he believed was private," reports Hannah Furness for the Telegraph. "According to a Sunday newspaper, the author had been rating novels on Goodreads, the popular review forum, under the assumption his settings were private." He claims now that he was "fooling around." That he did not understand the workings of social media. He could have remained quiet. Most onlookers would have doubted that the account was really his. And he should stand by his assessments unless they were motivated by envy or meanness. Authors have many friends in the industry, and their candid judgments would decrease those numbers. Some authors solve this dilemma by refusing to participate in Goodreads but pleading with readers to post reviews. Others use their own two-tier system, doling out either four or five stars to the books they read. Most authors decline to review books they did not enjoy. Some will review old favorites from years ago without a re-read. Others may not read the books in its entirety. It takes courage to take a public stance by writing a book or to express an opinion about others' books. It takes imagination to discover new authors and styles on one's own, without relying on the masses who spin in circles, chasing down a few authors. The consequences of ranking books on social media poses big consequence for the book publishing industry. Authors are lucky if readers finish 20 books in a year. Praise on social media - and the lack of courage - ensures that more global readers are drawn to a shrinking and cliquey group of authors like moths to a flame. Photo of flame courtesy of MarcusObal and Wikimedia Commons. Parents could be on the front lines of preventing extremism. Parents of teens do not realize how much their children observe and assess their parents' attitudes, routines and responses to problems. 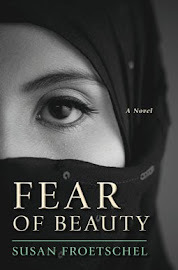 Fear of Beauty and Allure of Deceit, both set in Afghanistan, demonstrate how families shape future citizens. With each crisis and disagreement, young characters could move toward moderation or extremism. Do parents model anger and resentment for their children and blame others for their difficulties? Or do they work hard, demonstrating calm and courage during the life's most difficult periods? In Allure of Deceit, one young character questions how his parents handle punishment of young girls in the village: "there was less pressure to sort out why he disagreed so vehemently with his parents on what was moral and what was good. It was terrifying to think his parents could be so wrong.... Saddiq wondered if his parents sensed the discrepancy in what his parents asked their sons to do. If his parents had secrets, so could he." 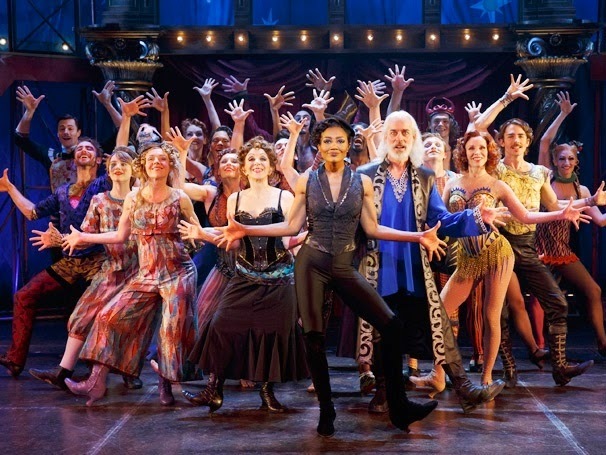 By the story's end, the character does confide in his father, and the man is capable of resisting attempts to nag or impose excessive controls. Teens are open to new experiences, and parents must select their battles carefully. Teenagers are curious and trying to construct their own identity. Parents can monitor trends attractive for their children. Respecting the good choices early on, talking about those choices, can guide a person away from extremism. Parents should offer praise for the good choices in school, activities, friendships - and avoid focusing on petty details like odd clothes or hair styles. Finally, parents should find time to do activities with young teens, gardening, cooking, community work, volunteering at an animal shelter, senior center, church program or more. Those few hours a week can reveal much and be precious. 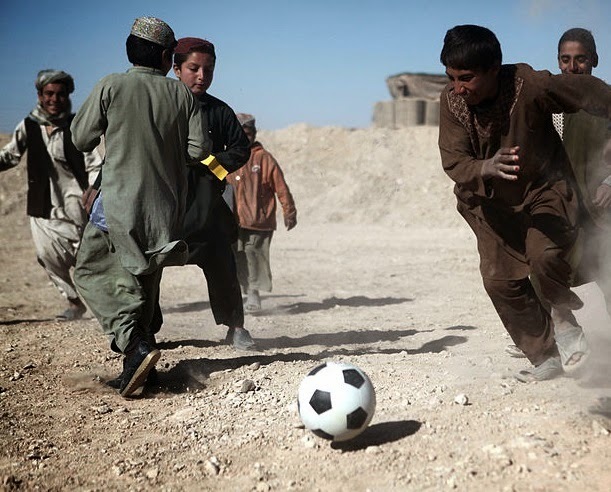 Photo of teens playing soccer with the Marines, linguists and Afghan police, courtesy of NATO,, Cpl James Clark of the US Marines and Wikimedia Commons. The good or ill accidents of life are very little at our disposal; but we are pretty much masters what books we shall read, what diversions we shall partake of, and what company we shall keep. Philosophers have endeavoured to render happiness entirely independent of every thing external. That degree of perfection is impossible to be attained: But every wise man will endeavour to place his happiness on such objects chiefly as depend upon himself: and that is not to be attained so much by any other means as by this delicacy of sentiment. When a man is possessed of that talent, he is more happy by what pleases his taste, than by what gratifies his appetites, and receives more enjoyment from a poem or a piece of reasoning than the most expensive luxury can afford. Our choices in what we read and with whom we converse influence our level of happiness to some measure. Circumstances and attempts by others to restrict such choices and literary capabilities constrain happiness, too. That does not mean all poems or books or scientific rationales provide such enjoyment, but no one should limit a reader's search. In a globalized world, the challenge is finding balance between selectivity and openness to new ideas. Readers should remember, too, that a work's value in this area may not be immediately apparent. David Hume was a Scottish philosopher and historian. 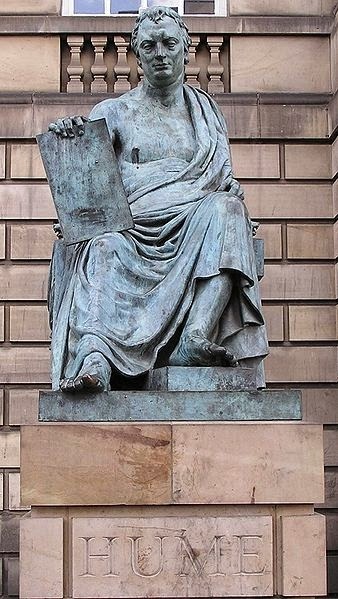 Photo of sculpture of David Hume in Edinburgh, courtesy of David M. Jensen, Storkk and Wikimedia Commons.